The other day I got my hands on Stever Robbins' book, "Get-It-Done Guy's 9 Steps to Work Less and Do More (Quick & Dirty Tips)," which is a great collection of tips & tricks to be more productive. When I picked up the book, I was wondering how this aligned with David Allen's "Getting Things Done." Turns out it's very complementary - GTD is focused mostly on how to collect, capture, and organize the things you want to do so you can pick your activities based on context, energy, importance, etc - you still need that, even with Robbins' book. So what is Robbins' book about, then? While it does have some overlap in terms of defining life goals, priorities, and "purpose" stuff, much of Robbins' book deals with tactics to help you free up more time to be productive - how to overcome procrastination, how to get better at saying "no," how to block out distractions so you can focus, and those sorts of things. Robbins' style is very conversational, making it an easy read. He also has a lot of quirky stories and memes going on (hint: zombies abound). In the midst of the quirkiness, there are a lot of sound ideas - and he illustrates them with stories from his life. For example, there is a section on "baby chunks" which is a strategy to break daunting tasks down into smaller, more manageable pieces. He discusses how he used this approach in writing his book, and I found it easier to understand the techniques involved because of this concrete example. Likewise, he illustrates most of his concepts with real stories you can identify with (except for the zombies, of course). Step 9: Leverage, which is partially about automating things to give you more power over getting them done, but also a lot about how to use your skills to their best advantage to increase your personal value. Leverage is also about how you can tap into the strengths of others to move past your own limitations. In summary, I got a lot out of this book and found it to be very practical. 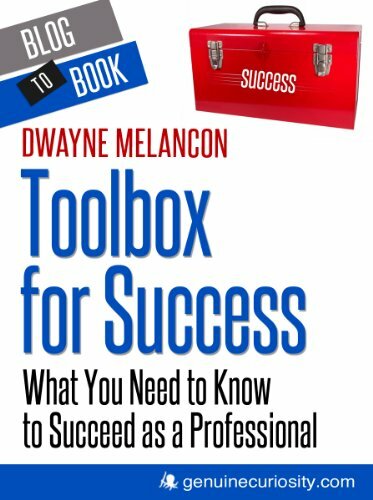 Through this book, I also discovered the "Get-It-Done Guy's Tips & Tricks" site, which is loaded with great ideas. If you're looking for a good way to refocus your energy on being more productive, you won't go wrong with this book.